Children can follow a comic book story and learn to appreciate and understand the feelings of animals and people in this fully-functional free app. This is one of those rare apps that is both free and fully featured without ads. It has been produced by an animal-focused charity based in the USA. Its geographical origins do not matter as its message of empathy to other people and animals is universal. The app is in the format of an e-book with extra features. It tells of a hero coming to Earth in the, unexpected to him, form of a cat. This is a fun story-telling device that allows the animals' feelings to be communicated clearly to the reader. The story is told in a beautifully drawn comic-book style, both colourful and characterful. The panels and portrayal of the character's actions are very well designed and many advance the story without needing any text. Others use speech bubbles to show the interactions between the characters. It is nicely judged. The app is suitable for a broad age range as it neither requires a well-developed reading ability nor does it appear to be aimed only at very young children. As the story is told as a comic rather than in prose, the story is better suited for use between an adult and child reading together. That being said, it will still be useful and accessible for a teacher to use with their class by mirroring the device to a large display. In both these cases, the adult can address the marked points in the story for further consideration. These points take the form of golden icons shown in the relevant comic panels. Tapping on them asks questions about the feelings of the characters or teaches further facts. All of these, and the story as a whole, are intended to prompt children to empathise with the characters and animals in the story. Teachers will already be used to extracting further thought from stories but parents will appreciate the useful guidance given at the start of the story. This explains how to question and prompt children to think more deeply. Teachers might also gain some inspiration here. As a bonus, there is a complete lesson plan available for download from the app's own website. You do have to leave your email address for this, however. The whole experience is rounded out by a simple activity where children try to rescue animals before an approaching storm arrives. This employs the empathy and common sense highlighted within the main story. It isn't a game in the strictest sense, but it forms a pleasant conclusion to the story. It gives a star rating and can be repeated to get a better score as children learn from repeat readings of the story. This is a great app to add to a school's or parent's devices and not just because it is free. It offers a message that not many other teaching resources cover. It fulfills the role of a reading book, a lesson's focus, or a bedtime story very well indeed. It’s the year 2050. Earth has become a dreadful place full of angry, lonely people and animals with no homes. Raja -- a warrior from another world -- must complete a Warrior Mission before he can become King. But instead of choosing a Mission, he sees AJ -- a lonely Earth boy -- and he decides to enter the forbidden portal to Earth to help the boy. Will Raja, along with his new friends, AJ and Meg, learn how to save Earth before it is too late? 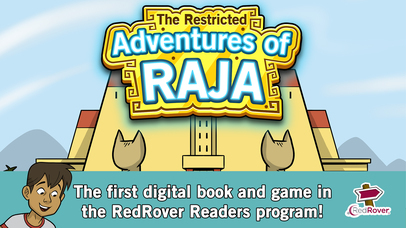 This interactive book and game teaches children important life skills while immersing them in a wonderful story of courage, compassion and empathy.The Restricted Adventures of Raja: Book 1 is the first in a series of stories that follow the journey of Raja. To complete his Warrior Mission, Raja must make decisions based on observing the behavior and emotions of others. 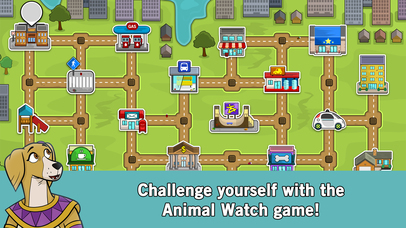 By reading along and playing the Animal Watch game, readers will learn how to understand animals based on their behaviors and practice making decisions based on an awareness of others. 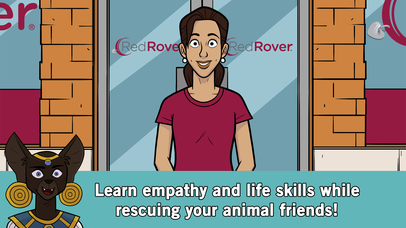 The Restricted Adventures of Raja is part of the RedRover Readers program and was developed with the goal of teaching children empathy and kindness by understanding the emotions of cats and dogs, as well as people. The message of this story fits seamlessly into any teaching program and aligns to the U.S. Common Core standards as well as Social and Emotional Learning Core Competencies. Learning how to interact with dogs or cats is a fun way to help children develop empathy and emotional understanding. Look for "Raja Book 2" now available. 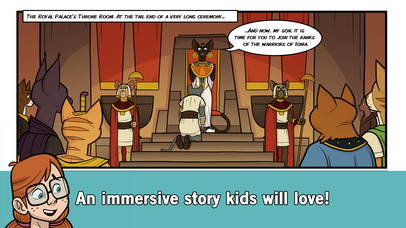 Both books and games have Spanish and English language options. RedRover is a national non-profit with a four-star Charity Navigator rating. Visit RedRover.org for more information.